This fish taco takes you on a journey to the Mexican Coast and back in one bite. Picked crab meat, artichokes, blend of cheeses and EVK Salsa are baked into a halved artichoke for an appetizer that is cheesy and simply delicious. Serve with tortilla chips or crostinis. Emerald Valley Kitchen started in Eugene, Oregon in the early 1980s. From the beginning we have been committed to providing Organic products, great taste at an affordable price. We affectionately refer to Emerald Valley Kitchen simply as EVK. EVK is now made in California, but like our roots, EVK has strong values. We value high quality, simple ingredients and organic goodness. 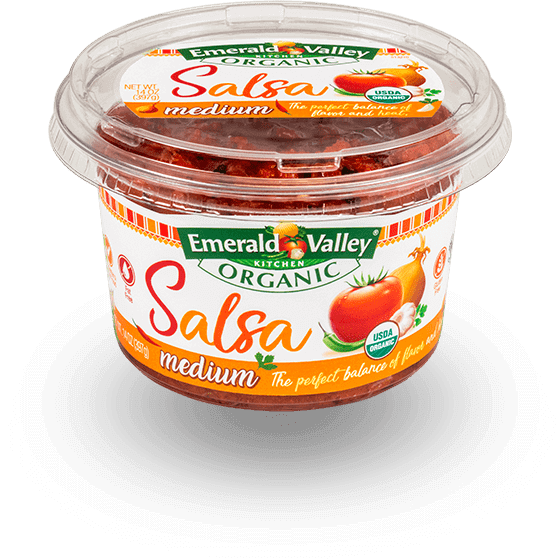 Enjoy our delicious, premium and vegan salsas. Many thanks.